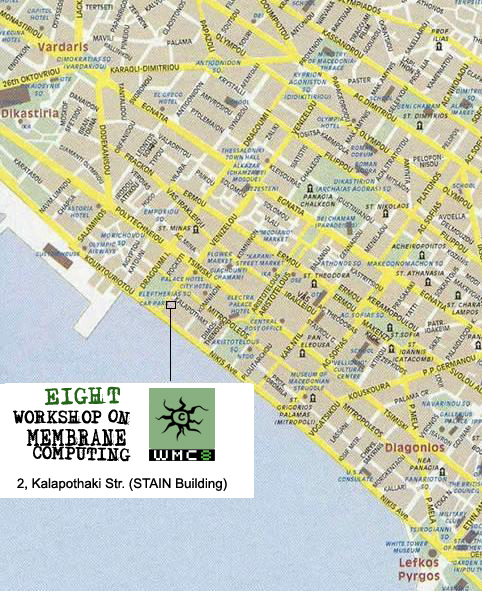 Below you will find a map of the center of Thessaloniki, together with the locations of the Conference Venue (2 Kalapothaki Str.). 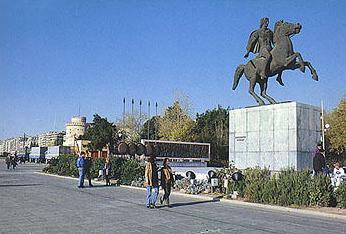 Thessaloniki is one of the oldest cities in Europe and the second largest city in Greece. It was founded in 315 B.C. by Cassander, King of Macedonia and was named after his wife Thessaloniki, sister of Alexander the Great. 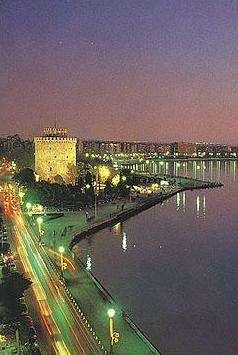 Today Thessaloniki is considered to be one of the most important trade and communication centers in the Mediterranean. This is evident from its financial and commercial activities as well as its geographical position and its infrastructure. 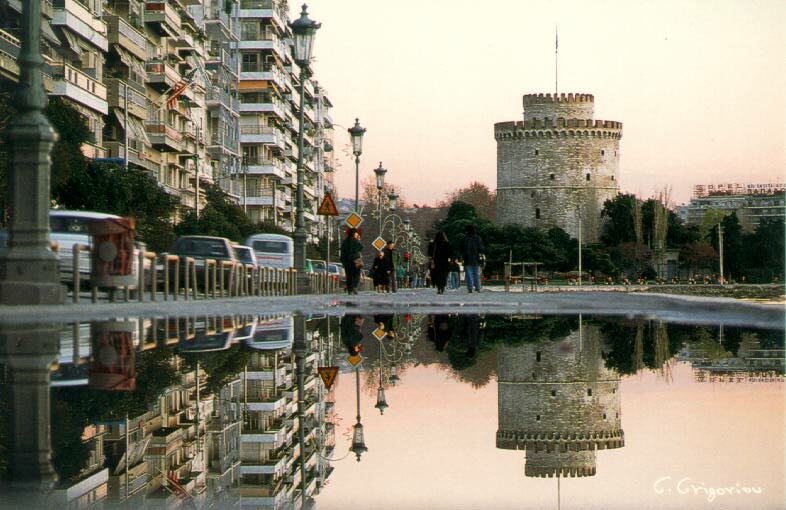 As a historic city Thessaloniki is well - known from its White Tower dating from the middle of the 15th century in its present form. 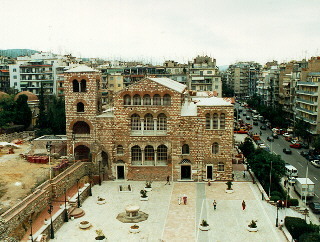 Thessaloniki presents a series of monuments from Roman and Byzantine times. It is known for its museums, Archaeological and Byzantine as well as for its Art, Historical and War museums and Galleries. Also, it is known for its Churches, particularly the church of Agia Sophia and the church of Aghios Dimitrios, the patron Saint of the city. Thessaloniki's infrastructure, which includes the Universities campus, the International trade, its port and airport as well as its road rail network, increases the city's reputation; it is also famous for its entertainment, attractions, gastronomy, shopping and even more. A place that becomes a vacation resort for many citizens of Thessaloniki especially in the summer and only 45 minutes away is Chalkidiki. Chalkidiki is a beautiful place, which combines the sea with the mountain. Today, Chalkidiki is a summer resort for the people of Thessaloniki. It is really a gifted place due to its natural resources, its crystal waters and also the graphical as well as traditional villages. Some of its most famous regions are Athitos, Kallithea, Peukohori, Posidi, Chanioti, Marmaras, Porto Carras, Porto Koufo and many more. Mount Athos is the Southest peninsula of Chalkidiki. In Mount Athos monastic life begins and consists to be a unique pilgrimage of Orthodoxy. For that reason, it attracts the attention not only of the Orthodox people but also of every person regardless religion. In Mount Athos twenty monasteries have hospices with 223 rooms and more than 610 beds. The visitor may be guided from the monks around the other monasteries. In addition, Mount Athos is surrounded by many other monasteries where each one of them has its own importance. To conclude, visitors always leave Thessaloniki with the best impressions and promised to come back as soon as possible so as to visit it again. The easiest way to get to Thessaloniki is by a direct flight to the city's airport named "Macedonia". From the airport you can get a taxi (approx. cost €20) or a bus (€0.50) to take you to the city center. The airport is 13km away from the City center (approx. 30 minutes). We suggest you to take the Intercity Express train (4 ? hours) or Intercity (5 ? hours). Aegean airlines have special offers for the Athens-Thessaloniki flights. These offers are usually under the title: "smile". Please check. Prices are based on the organisations' price lists. Due to changes, please check with your travel agent or with the organization itself. Every city has a different area code (e.g. for Athens 210, for Thessaloniki 2310).